Department of Radiology, Aultman Hospital, Canton, OH 44710. 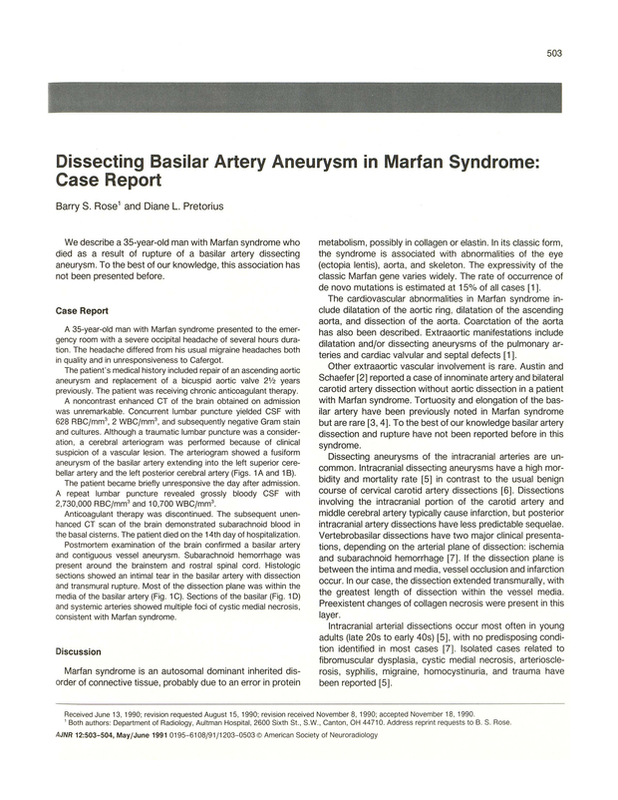 You are going to email the following Dissecting basilar artery aneurysm in Marfan syndrome: case report. Is Marfan Syndrome Associated With Symptomatic Intracranial Aneurysms?